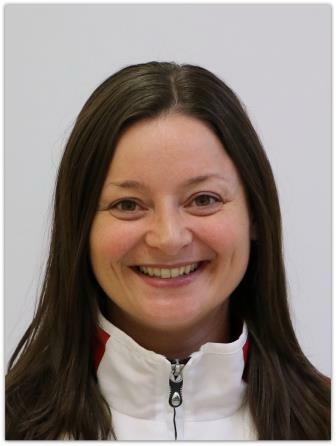 Jessica Mason joined our program in 2010 and coaches our Future International, Junior and Senior gymnasts. She is also the Assistant International Stream Program Manager. Recently Jessica was accepted into the prestigious Australian Institute of Sport’s (AIS) High Performance Coaching course and completed a 2 year (2015-2016) program developing high level management skills and applying those to elite sport. She was selected along with fellow WGC Coach Jeb Silsbury to participate in the AIS’s exclusive International Coaching Program at the 2014 Glasgow Commonwealth Games in August. Jessica has more than 14 years coaching experience, holds a FIG level 3 coaching qualification and is fully qualified and registered as a High Performance Coach accreditation with Gymnastics Australia. Jessica has had a gymnast recently selected onto the 2018 Pacific Rim Australian team and as a reserve athlete for the 2018 Commonwealth Games Team. Jessica has had athletes successfully compete at Australian Championships, Australian Classic events, International events and Victorian Championships. Jessica has also achieved her Bachelor of Applied Science (Human Movement) degree. Jessica was awarded the 2012 and the 2015 Senior Coach of the Year for Waverley Gymnastics Centre. She has also been awarded the Gymnastics Australia International Coaching Team of the Year in 2015 and awarded the Gymnastics Victoria International Coaching Team of the Year in 2017. Jessica’s coaching philosophy includes nurturing her athletes through their journeys whilst instilling positive values and life lessons to assist them in becoming well rounded strong women.